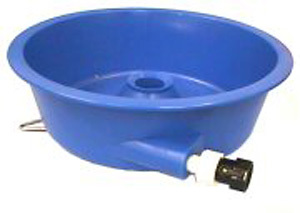 The Blue Bowl can recover gold as fine as talcum powder when setup and run properly! This item is otherwise known as the famous D.A.M. gravity concentrator manufactured by Pioneer Mining and designed to work forever with no moving parts. 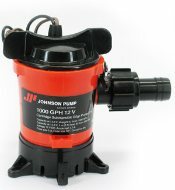 Comes with water flow control valve. You can raise or lower the bowl by turning the large disc clockwise or counterclockwise while attached to a 5 gallon bucket. The flange will hold the leveler in place as the disc is moved in either direction. Made of high impact plastic. Needs only 2 gallons of water per minute. Take it with you to the field as it is a small and portable size. TIP: wet your concentrates prior to adding them to the bowl.